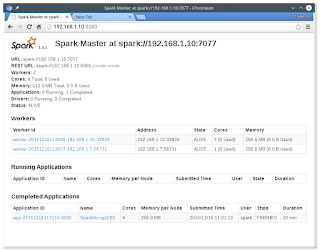 Here is a follow up on previous post about using Apache Spark to work on MongoDB data. Please refer to the old post for details on the setup. 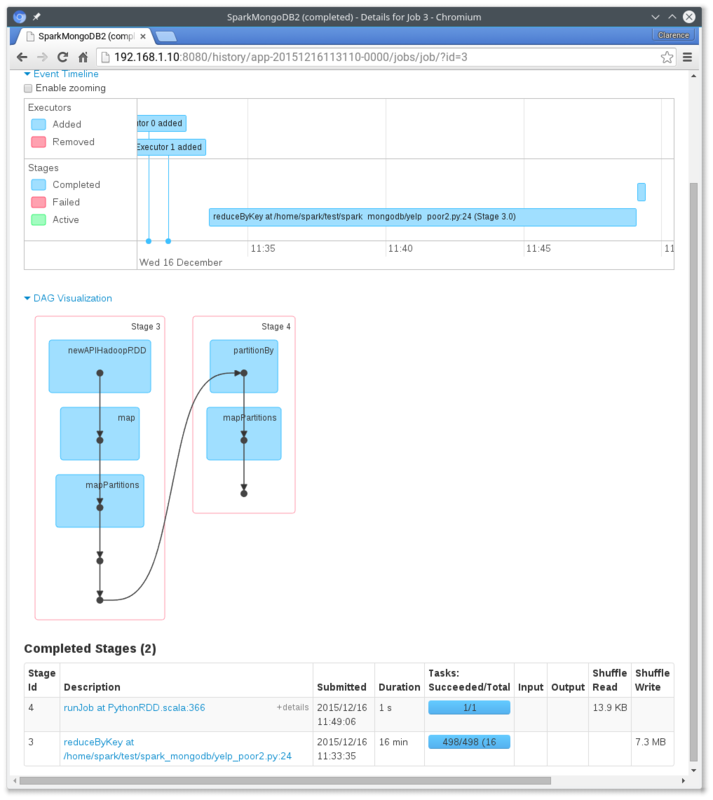 This post is about using the "unstable" pymongo-spark library to create MongoDB backed RDD. We need to build a jar and copy a Python script from the source. Copy it to the lib directory under Spark. Also need to add it to the classpath when using pySpark or spark-submit. Save it under the same folder as the application script and remember to use "--py-files" parameter to deploy it. Finally, the application script. The pymongo-spark needs to be activated before loading / writing RDDs. 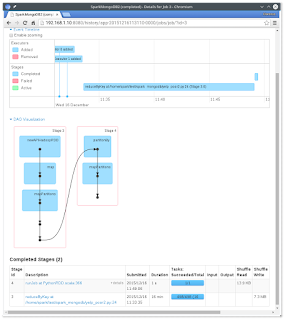 Also, the structure of the loaded RDD is slightly different when compared with RDD using mongo-hadoop. I am trying to import the mongo-connector into spark-1.6.1. 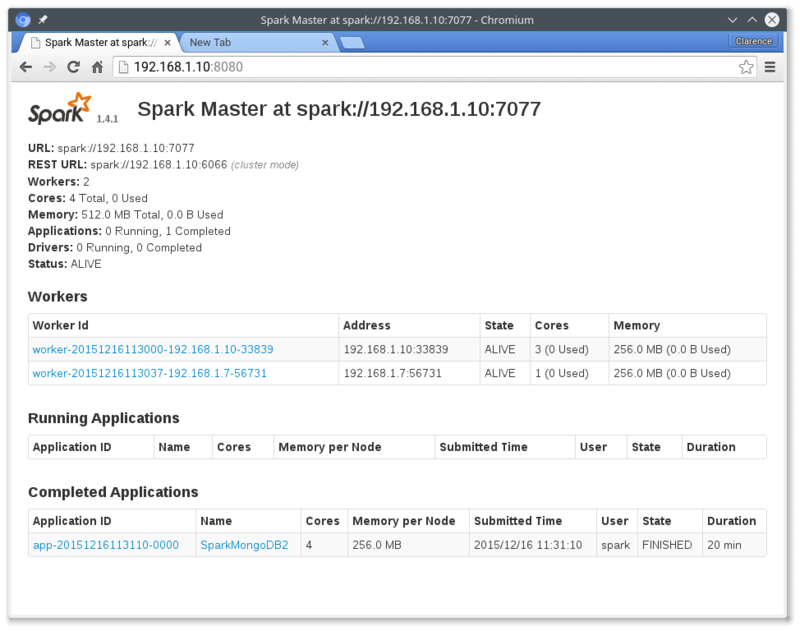 I dont see a lib file present in the SPARK_HOME. Any idea where i will need to put the jars to get the import org.mongodb working. Hi Shyam. I haven't used mongo-connector. But if you are using spark-submit, you can use the "--packages" option to use maven dependency. Or, use "--jars" to specify the location of your lib. ImportError: No module named pymongo_spark. What could be the issue for such case?? @rex have you built the pymongo_spark code? Also, when you submit your Spark application, do you use the "--py-files" parameter to distribute the pymongo_spark files? I have two worker nodes and one master node. so the result is not save to poor_count. hi rex. when you run the job, do you see the workers connected to mongodb and retrieving data? Yes it can retrieve data from mongodb. 17/07/03 10:05:14 INFO MongoOutputCommitter: Setting up job. Upto mapreduce part is working fine. what is your script for saving the result to mongodb? is it pointing to the correct server? The same script of saving that is in this blog. Now its working. It was due to multiple SparkSubmit. If I want to save the result in HDFS instead of saveToMongoDB, what should be the command for it? Hi Rex. It is just a pyspark RDD. Save it as you would normally do. I have followed your instructions and my program is running fine but it's not saving any data to MongoDB. It's not throwing any errors even.